If you’re visiting Walt Disney World, you would think that the best Disney shopping is at World of Disney or maybe the Emporium on Main Street of the Magic Kingdom. Both are extensive and great. 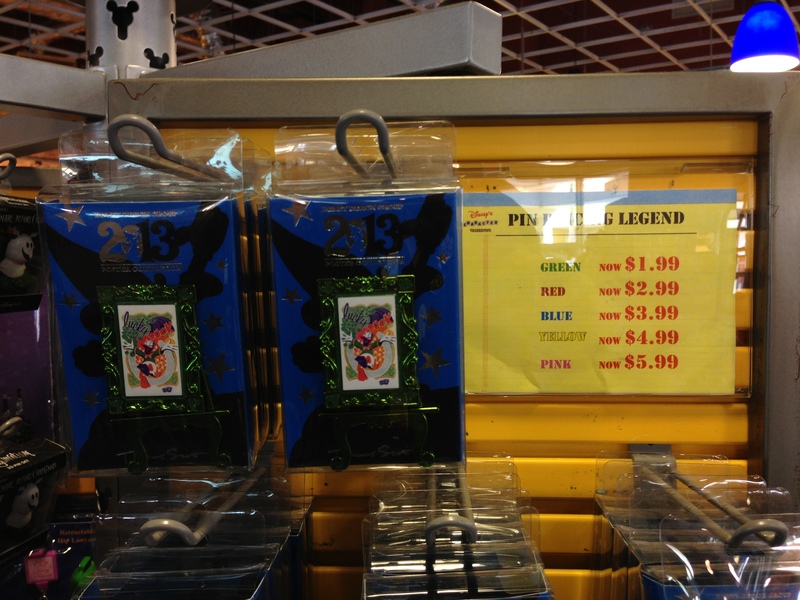 For pin trading, you’d probably head to Disney’s Pin Traders in Downtown Disney or maybe Pin Central in Epcot. But for one of the best overall shopping experiences, try something out of this world…out of Walt Disney World at least. 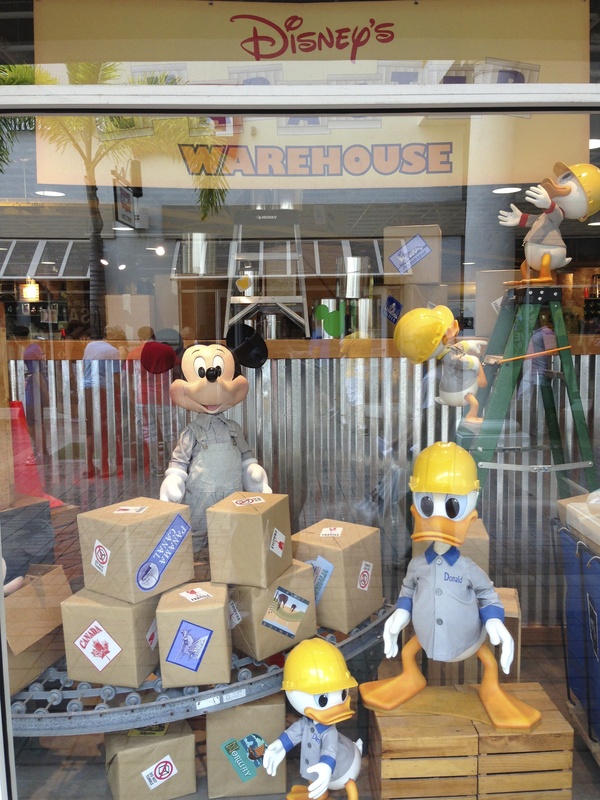 Go to Disney’s Character Warehouse at the Orlando Premium Outlets on Vineland Ave. There are two locations – one on International Drive also – but the one on Vineland has the best overall selection IMHO. Now if you want the most current, up-to-date selection stay on property and shop at WDW, but if you simply want cool, authentic Disney merchandise at deep discounts (some of which is still on sale IN THE PARKS at regular retail prices), then come here. When I said “deeply discounted” I really meant it. From my understanding, they sell overflow items, seasonal items that are heading out of season, extra items from previous events (like the marathon races), and items they plan on discontinuing. But you can also get some great deals on a huge variety of items – from pins to Vinylmation to clothing to even sour cherry balls. It’s a cornucopia of Disney products. The warehouse even has merchandise from the Disney Cruise Line for those of you who are fans of the ships. The best part is that since they are actually run by Disney, you can expect the same great Disney service you’d expect in the theme parks. The cast members were all exceptionally helpful and polite and most of them had pin lanyards as well for easy trading. One cool feature I just learned about is that they have regular pin trading events, so you can come in and trade pins with Cast Members as well as fellow pin traders! They had a great selection of jackets, shirts, dresses, polos, nightgowns, PJs, and virtually everything else you could wear. 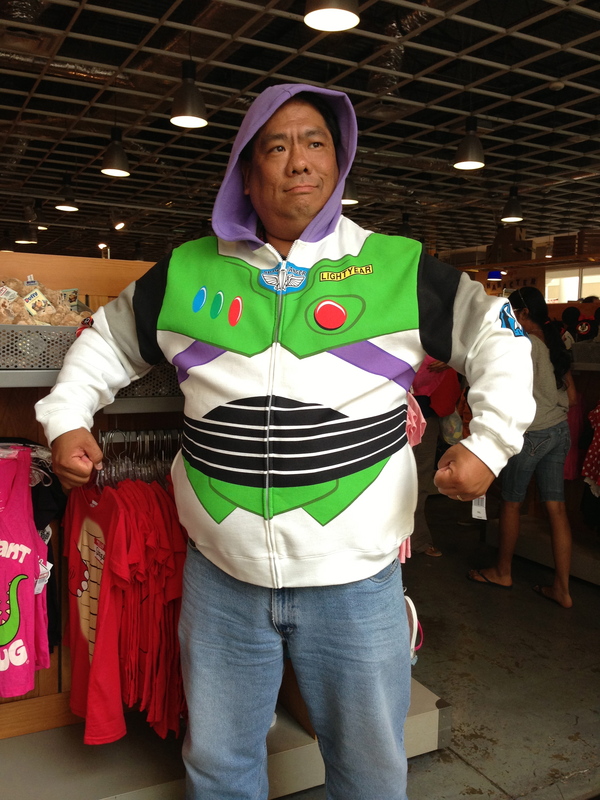 I was so close to buying the Buzz Lightyear jacket, but my wife would have forced me to walk about a mile behind or in front of her. I decided the wiser choice was to just take a picture which she happily helped me with. The warehouse is located close to the parks, but be warned that parking is fierce at the outlets and you may be waiting for a spot longer than you waited to ride Toy Story Mania. Or you may park so far, you wish there was a tram or monorail to take you to the shops. But it is worth it. And if you’re willing to pay for it, valet is available. Many other wonderful shops are located at the outlet and it’s quite huge and extensive in selection. But for the Disney fan, this is one of the most fun places to go where you’ll get a great bang for your buck. Keep in mind, they don’t have the selection you’d find at World of Disney (and let’s face it – World of Disney is the size of a football field – or bigger), but you can’t beat the value. If you’re taking a break from the parks for the day or just have a little extra time on your hands, visit this authentic Disney merchandise experience outside the World. Love your blog entries and your enthusiasm! I for one would walk hand in hand with my fiance in that buzz lightyear hoodie! Thank you! I did love that jacket. Maybe you should get one for your fiance as a gift this Christmas! I just might =) I’m really excited about my upcoming trip to Disney World, and can’t wait to stop by the Disney outlet! Reading your posts kept me up until the wee morning! I really hope that I’ll be able to meet Scoop! Glad you enjoyed the read! Yes, definitely meet Scoop if you get the chance. He is a wonderful person. And remember to offer him a good pin in trade for one of his and he might reward you with a special pin all of his own. He even decorates each one to make them unique. Can’t buy online….wish I’d know of this 2 weeks ago, when there…definitely would have went…..
Next Next post: Sorcerers of the Magic Kingdom: Fun for the whole family!